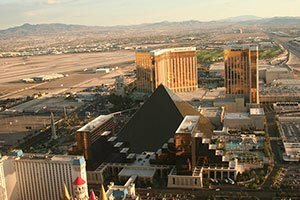 See across the canyon's vast expanse and straight down to the depths of the canyon floor when you fly in one of our state-of-the-art aircraft. Let one of our motorized pontoon boats carry you down the peaceful waters of the Colorado River, between the towering stone canyon walls within Glen Canyon. Board a customized, open-air Hummer and travel through the national park along the historic Desert View Drive, making several stops at viewpoints at the canyon rim. Fly over the rich Kaibab Forest before soaring off over the widest and deepest part of Grand Canyon; the Dragon Corridor. Experience and photograph towering rock formations, deep majestic valleys, and some of the oldest geology known to mankind. Our EcoStar EC130 provides first-class-style seating and oversized windows for 180-degree viewing so all guests get a great view no matter where they're sitting. This guided Hummer tour treks through the expanse of the Grand Canyon National Park, bringing guests to several prime canyon lookout points along the way. Extend your Grand Canyon experience with a ground tour on a hummer. Watch the sunset over the canyon, just as fiery crimson as the sandstone that forms the canyon. 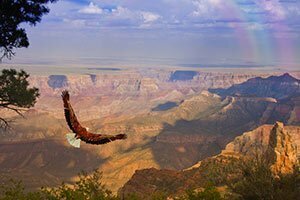 Travel from the canyon's South Rim to the East Rim aboard one of our Vistaliner airplanes. This budget-friendly tour provides breathtaking views of a large spread of canyon sights, including Imperial Point - a freestanding stone column formed by nature. Fuel your adventurous side by choosing to see the canyon by helicopter. This once-in-a-lifetime experience takes you over the landscape in style! Climb aboard a customized, open-air touring Hummer and set off through the national park to some of the most famous canyon viewpoints. Add a thrilling ground tour through the canyon on an open-air Hummer, stopping just in time to watch the sun set. 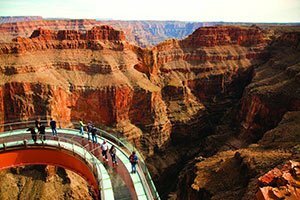 Explore the North & East Rim - the deepest section of the canyon, boasting 1.7 million year old stone - all from the EcoStar, a helicopter offering 180-degree viewing and stadium-style seat design. Turn your trip into a romantic couples' getaway, a family adventure, or even just a special day for you and your friends when you reserve the helicopter all to yourselves! Answer the beckoning of the Colorado River on our Smooth River Bus Tour. This 15.5-mile raft journey gently propels sightseers through Glen Canyon and even stops for photo opportunities of petroglyphs carved into the canyon walls! World-renowned for its otherworldly sandstone walls, Antelope Canyon's ancient magnificence is an opportunity unlike any other. Explore beneath the undulating canyon walls etched seemingly straight from the pages of a fairy-tale book. Experience the scenery from above and from below! First get an aerial view of the Grand Canyon in one of our signature planes, then relax on a motorized raft as you float the Colorado River between the walls of Glen Canyon. Board an open-air Hummer vehicle for a ground tour through the Grand Canyon National Park, with stops at several famous lookout points. Reserve a Hummer for just your party for a more personalized Grand Canyon tour experience. Your Hummer tour will make several stops at scenic points along the canyon rim, just in time for the sunset. Whether by ground or via helicopter, the Grand Canyon is the most majestic topography ever to be found on the planet. We should know - we've been taking guests on tours of the area for over fifty years! Designated as a National Park in 1919, the Grand Canyon has grown to be one of the most visited destinations in the world. Boasting an average of over 5 million tourists each year, the canyon gives sightseers access to roam and hike around the rim uninhibited by barricades. 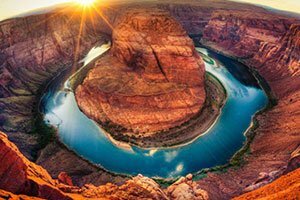 Coupled with arresting views and countless activities, including mule rides, helicopter tours, and rafting trips down the Colorado River, the Grand Canyon is worthy of its status as one of the World's Seven Natural Wonders. 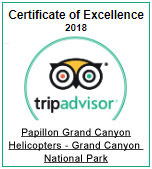 At Papillon, our goal is to offer some of the most innovative tours of this natural wonder that you and your family could ever imagine. Our countless activities allow you to participate in a Grand Canyon experience either by air, by foot, by boat - or all of the above! Our multiplicity of tour options will take you to various rims of the canyon, where you will discover the most beautiful rock formations, their red and orange tones carved for billions of years by the Colorado River. From the canyon floor to the desert sky and everything in between, our tours have you covered. Climb on an open-air jeep for a tour through the Grand Canyon National Park, where there will be several stops for photos at the canyon's prime lookout points. To truly make your adventure one-of-a-kind, board of our motorized rafts and drift along the winding river rapids between mountainous canyon walls. For those who don't want their adventure to end, you can extend your helicopter ride to the North and Eastern rims of the canyon, as well. On the way, you will enter the canyon at Zuni Point, a scenic overlook nestled into the South Rim. Also along the way you will pass over Dragon Corridor, the deepest and widest part of the Grand Canyon. Perhaps the most breathtaking sight on your way over the North Rim is the Kaibab National Forest, an enormous blend of aspens, spruces, pines, and firs. You may even see deer, mountain lions, or black bears in their natural environment. All of our tours include audio recordings for you to enjoy during your flight. 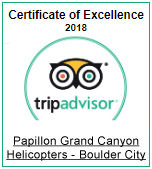 You will be able to choose from 12 languages (including English) to ensure that everyone on board will have the opportunity to learn about the history of the Grand Canyon and look out for specific formations, including Temple Butte near the South Rim of the Canyon. Your helicopter ride over the Grand Canyon can become one of the greatest thrills of your life. Our goal is to take care of the little details, that way your experience seeing these natural phenomena is completely uninterrupted and carefree. 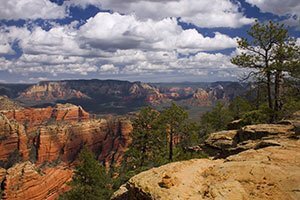 No matter where you are, whether you are travelling alone or in a group, we will work to accommodate you during your adventure in the beautiful nature of Northern Arizona. Grand Canyon Village is located on the South Rim of Grand Canyon National Park, 80 miles Northwest of Flagstaff, Arizona. Entrance fees to the Park vary according to the type of pass required by visitors. The South Rim of the Park is open 24 hours a day, 365 days a year, while the North Rim is closed from late October to mid-May due to snow.